This is my grandson Nathan’s, very favorite dessert. First made for Thanksgiving 2010. Rated by my family as a 5*. Very delicious! In medium saucepan, mix dry pudding mix with half and half and 1/2 cup cream. Add spices. Bring to boil over medium heat, stirring constantly, until mixture is bubbly and thick. Add pumpkin and stir to combine. Put lid on pan and set aside to cool. When cool enough, place pan in the fridge to cool completely. When mixture is cool, remove from fridge. In mixing bowl, add 1/2 cup cream and brown sugar. Beat until very light and fluffy. Fold in pumpkin cream mixture until combined. Cover and refrigerate for a couple of hours or overnight. 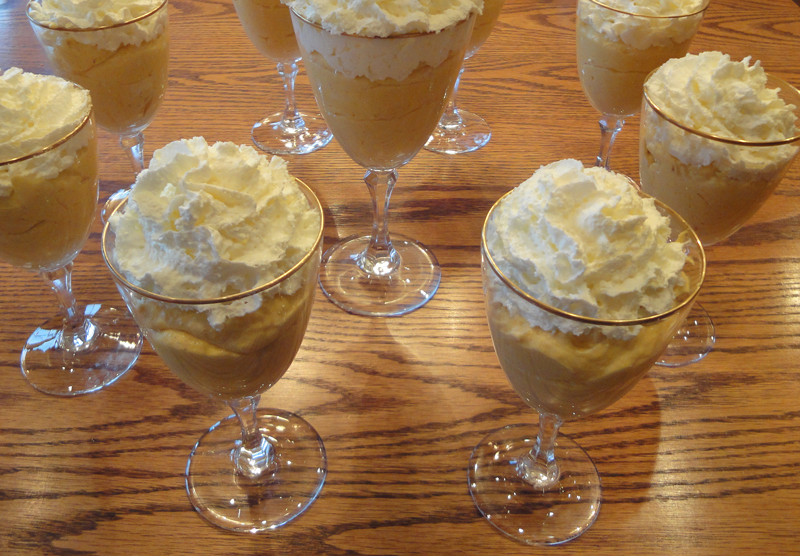 Serve in goblet glasses, or any way you prefer to serve it. This makes 6 small servings, so you might want to make a double recipe.